Rabat - The Western Sahara question continues to divide the international community as a UN hearing on Wednesday ended in “mixed reviews” about Morocco’s position. Rabat – The Western Sahara question continues to divide the international community as a UN hearing on Wednesday ended in “mixed reviews” about Morocco’s position. In a marathon of opinionated remarks on the ongoing political stalemate in Western Sahara, some petitioners threw scathing criticism at Morocco’s position, calling the country a “colonizer” and a champion of human rights abuses. They accused Morocco of plundering the region, alleging that locals do not benefit from natural resources in the southern provinces. Others, however, spoke highly of the country’s position, particularly its 2007 autonomy plan. These supporters pointed out the enormous development projects and investment plans under Moroccan watch in the southern territories, according to UN coverage of the meeting. In an equally opinionated rebuttal of critics’ arguments, supportive petitioners welcomed Morocco’s plan as the only viable and reliable peace broker in the decades-long political dispute. They explained that, as far as security, stability, and development projects are concerned, Morocco’s position is the most sustainable path towards a mutually acceptable political settlement. As Morocco’s 2007 autonomy plan entails local autonomy under Moroccan sovereignty, supporters pointed out that the proposal is democratic and that it values civic participation and citizens’ rights. In Tindouf, the de facto bastion of the separatists, however, others highlighted, political dissent is silenced and severely punished while freedom of movement and expression is heavily restricted. Read Also: Western Sahara: Has Algeria Betrayed the Sahrawis Again? French Senator François Grosdidier, perhaps the most fervent pro-Moroccan petitioner at the hearing, said that local autonomy under Moroccan sovereignty—the cornerstone of Morocco’s proposal—is the more practical and effective alternative to provide stability and security in a vast and often troubled region. “The Moroccan Autonomy plan responds to democratic aspirations and sustainable development needs, in its economic, social, and environmental dimensions, while respecting the identity of the populations,” Grosdidier was quoted by Maghreb Arab Press (MAP) as saying. The remarks come as the UN strives to break away from decades of fruitless peace negotiations to finally find an agreed upon and mutually acceptable settlement in the decades-long standstill. 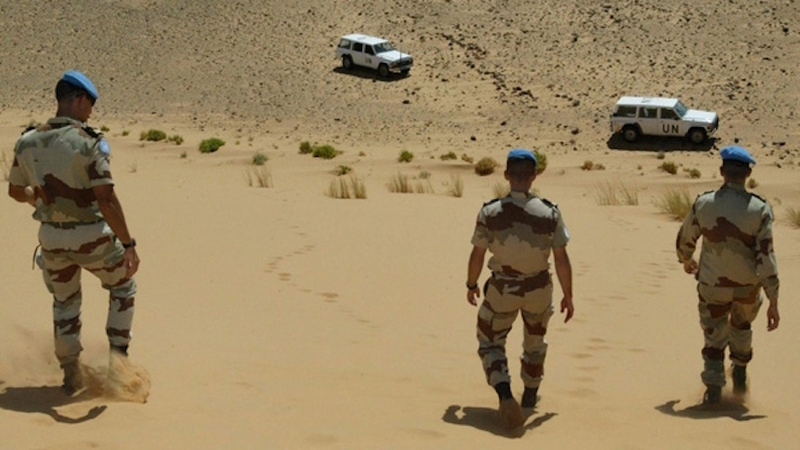 In his latest report on the UN peacekeeping efforts in Western Sahara, Secretary-General Antonio Guterres upheld the international community and Morocco’s resolve to commit all players to the negotiation table to reach a sustainable political solution.